Greetings from Emmanuel Baptist Church. We are writing this letter to invite you to our annual church leader’s Proclaim Conference (www.ProclaimConference.org). This year’s theme is: The Primacy of the Proclaimed Word | Handling and Hearing the Word of God and is focused on addressing the great need for biblically grounded preaching in our country. The conference will be held Thursday 9am through Saturday 5pm, the 26th and 28th of May 2016, and the venue is Emmanuel Baptist Church (EBC), King’ara Road, Lavington, Nairobi. Our vision for the Proclaim Conferences is to equip church leadership to passionately and accurately minister the Scriptures to the churches they serve. 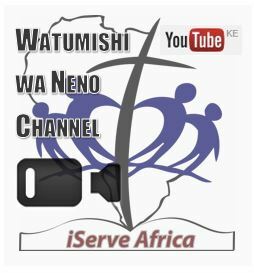 We are purposed to serve and strengthen the Church in Kenya by promoting robust God-­centered evangelical theology by: preaching from the Scriptures expositionally, modeling healthy church life, providing quality biblical training resources, and by providing opportunities to develop ministry relationships and build healthy gospel-centered church networks. For this year’s conference we will be examining the topic of expositional preaching. Dr. Mark Brock, Crossway Baptist Church, Bakersfield, California, and Pastor Ken Mbugua, Emmanuel Baptist Church, will be preaching the six general sessions. Other able and gifted men (lecturers, pastors, etc.,) will be teaching over 25 different workshops that address expositional preaching, discipleship in the church, theological training, and more. Dr. Brock will also be conducting a separate pastor’s track on how to do expositional preaching in your church where Dr. Richard Ramesh’s book, Preaching Expositional Sermons will be given to all registered pastor’s track attendees on a first-registered, first served basis. Please join us to learn, share, interact, and fellowship with these gifted pastors and careful theologians for three full days of workshops as they explain and explore the importance of faithfully preaching from the Scriptures. The cost of the conference is Kshs 750/= per person if registered by 15/4/16. Otherwise, registration is 900/= per person; 1,500/= per couple for the entire conference (includes conference materials, meals during the day, etc) and can be paid at the entrance gate. Finally, it is our desire to serve the churches of Kenya and their leaders, and we will be distributing the following resources to all registered attendees on a first-come, first-serve basis. In addition we will have a large displays of new and used theological books for purchase. We will have very good prices on these books, so don’t miss out! We look forward to serving you at this conference. If you have any questions please do not hesitate to call 0708 802 375 or email: conference@eabst.org. You can also visit our Proclaim conference website, register for the conference, and check our Facebook page for more information. Brothers and sisters, we’d really appreciate your prayers over the next few days. From Tuesday to Friday we’ll be doing a training in faithful Bible teaching over in east Nairobi with a large group of pastors and evangelists. 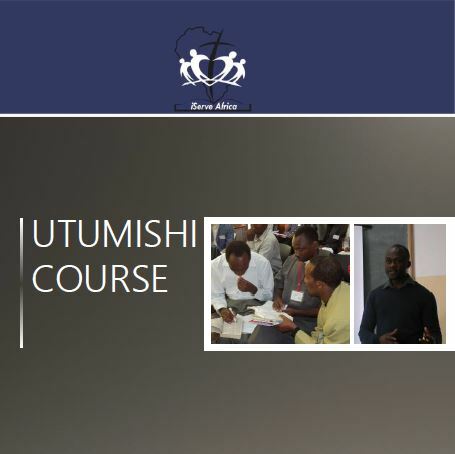 It will be the first outing for the Utumishi wa Neno course material and the largest training we’ve done as iServe Africa. We’re going very much ‘in fear and much trembling’ but that’s probably as it should be. For Harrison, Sammy and myself as we preach and teach tomorrow, that we would be clear and faithful and have the tongue of those being taught. That the Bible would be our teacher. That the Spirit would open hearts and minds to the Word of Christ and bring a fresh conviction of the primacy of Word and prayer ministry, a taste of the sufficiency and richness of the Word and a deep humility to listen carefully to that Word. We’ll try to post some updates through the week on the U-Course blog.